La Union is famous for beautiful waves and beaches, perfect for surfing and beach bumming. 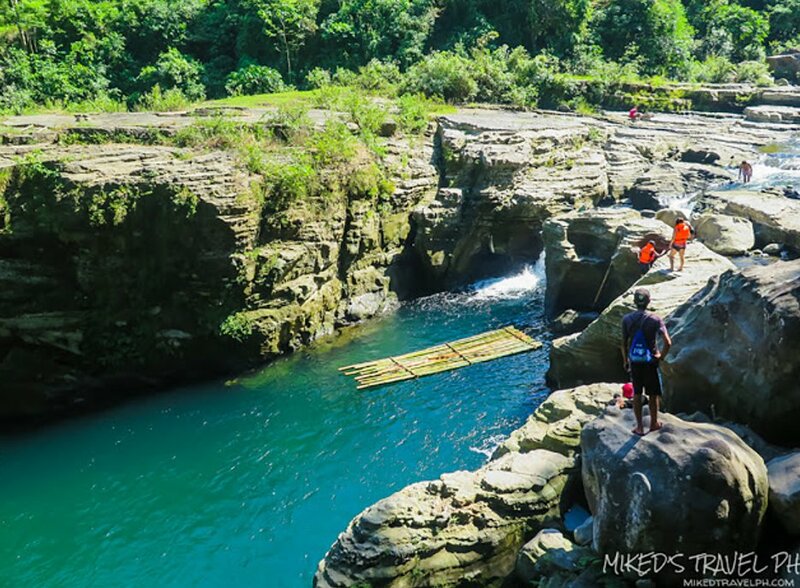 But another activity is making noise in Social media and with Adrenaline –junkies, Trekking and cliff diving in Tangadan Falls at San Gabriel La Union. There are 2 routes going to the waterfalls from the city proper. The easy route and the hard route. Tour guides are required for the hikes since there are no signage’s directing to the waterfalls. More so, you don’t have to pay for anything, you just have to sign an attendance sheet so that the locals could monitor the people coming in and also probably for safety. Hiking would also take an hour before reaching the falls. 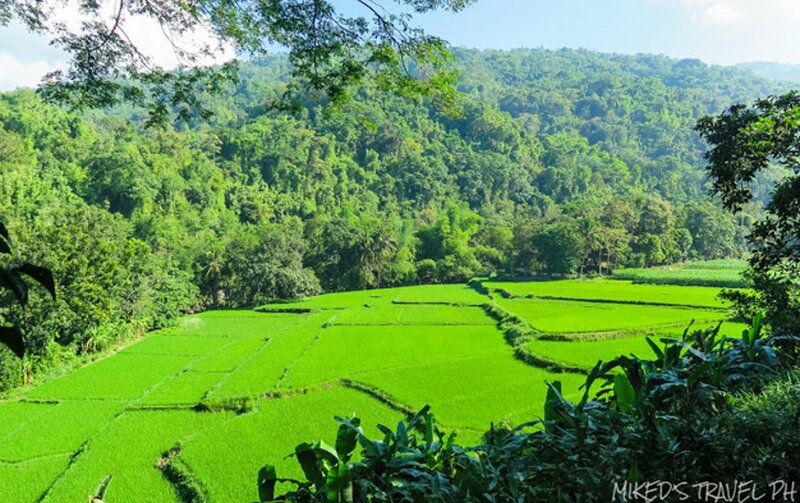 The hike will start on a downhill passing through rice fields and smaller trails. 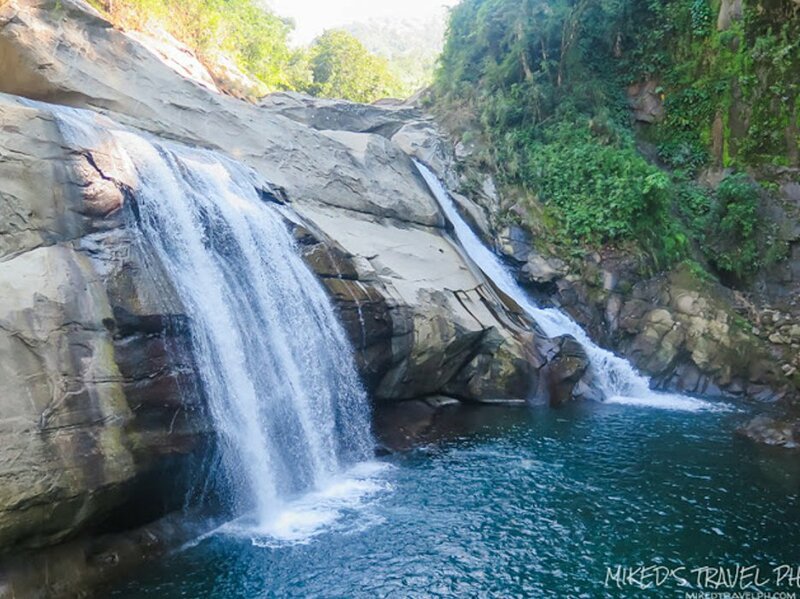 After 30 minutes of walking, crossing the river and passing through the rice field, you will reach the first part of the waterfalls. This area serves as resting place. Another 20 minute walk and you reach the main waterfalls. 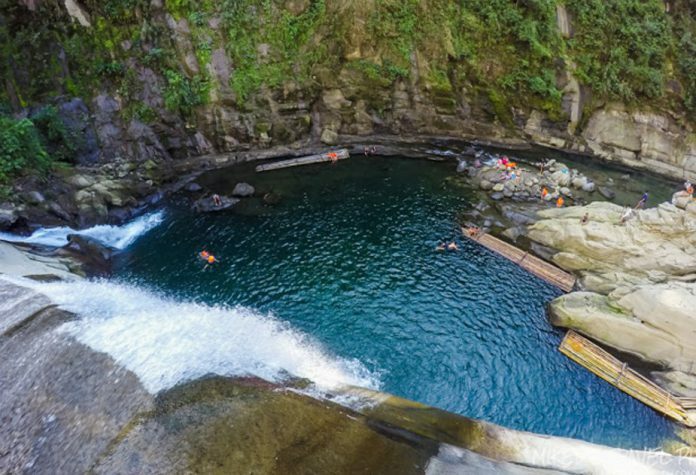 It is around 50-feet deep and has 2 cascades. You can also try to go behind the waterfalls, although it takes a lot of effort to swim because of the strong current and the slippery rocks, but it’s really wonderful once you’re behind. If you like an adrenaline rush, jump from the top of the falls which is 50 ft high. There are also bamboo rafts going into the catch basin of the waterfall to get the water massage.